Are you looking for a full service digital printing company which can turn your favourite photographs into stunning pieces of artwork? 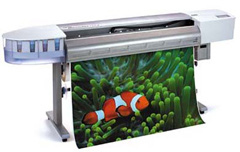 Then look no further than Superchrome - a reputable digital printing company based in the UK. With years of experience behind us, we remain the leader in providing high quality digital photo prints on canvas. To print digital photo on canvas at Superchrome, you have to just upload your photos to us. Our team of experienced graphic professionals, with in-depth technical knowledge, will take care of your digital photo printing needs. Prints are taken directly from the computer files. For high resolution long lasting prints, we make use of pigment-based water resistant inks and lightfast UV inks. With lamination and UV stability, added protection is given while printing your digital photos on canvas. Depending on your requirements, you can select any size and type of canvas. We work on water resistant canvas, fast dry matte canvas, fast dry glossy canvas, coated cotton canvas and more. We can print digital photo on canvas in sizes ranging from A2 to 60x40". If you have specific requirements in size and type of canvas, please feel free to suggest your options. As a full service provider, you can rely on us for all your needs in printing digital photo on canvas. We take every effort to give your digital photo printed on canvas the perfect look. We have an in-house framing department to offer framing options for your digital photos. After printing the digital photos on canvas, we deliver the finished prints safely at your door step within the scheduled time. If you would like to know more about printing digital photos on canvas, any of the projects shown or if you want to discuss any project you have coming up then contact us 020 7237 9333 or fax 020 7237 9444 or email sales@superchrome.co.uk. Our experienced personnel would be able to guide you appropriately.